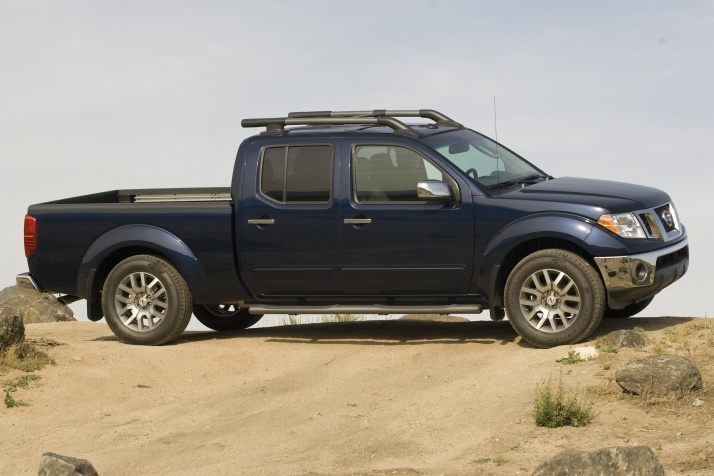 There’s something about a small truck that just seems to appeal to the economy-minded worker. It’s also very appealing to have around as a family vehicle. How many times have you needed to haul something from the store; furniture, home improvement items, lumber, exercise equipment? Yet, you don’t want a giant truck that’s going to bankrupt you in both payments and fuel. That’s where the appeal of a small truck lies. It provides the best of both worlds – capable hauling and working capacity, and reliable fuel efficiency. After checking top researchers’ reports at Car and Driver, Consumer Reports, Edmunds, and Motor Trend, we’ve come up with the best small trucks of the 2010-2011 models. Not only is it one of the most affordably-prices smaller trucks, it’s also one of the most reliable and versatile. 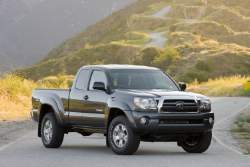 The Tacoma features an array of cab options with the Standard Cab, Access Cab, and Double Cab. It also features two engine choices, the 2.7L 4-cylinder, which is more friendly at the gas pump with a rating of 19/25 mpg (city/highway), and the 4.0L V6, which can up towing capacity to 6,500 pounds when properly equipped. The interior isn’t flashy, but it is built with some very high-quality materials and plenty of practicality. The Double Cab’s seats are both roomy and comfortable and an optional bed-mounted 115-volt/400-watt electrical outlet makes a nice edition for tailgaters and the outdoorsy types. The Dakota has seen some improvements in both ride and handling, but its price still doesn’t seem to match up with what you get. It is one of the most powerful small trucks available as it’s the only one with the option of a V8 engine. The 4.7L coupled with the 4WD option brings the Dakota’s towing capacity to 7,200 pounds. All in all, it possesses enough under the hood to make it a very worthy working man’s truck, but its interior leaves a lot to be desired. There are several areas littered with low-budget plastics and hard, ridged edges. Still, interior storage space is ample and the bench seat is quite comfortable. Dodge needs to come down in the dollar range to make this one truly worth the purchase though. One of the best things about the Ranger is the fuel economy you’ll get from the 2.3L 4-cylinder model. Rated at 22/27 mpg, it’s one of the best fuel efficiency numbers you’ll see from a truck. 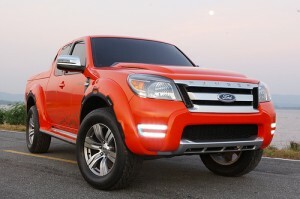 However, the 4.0L V6 seems sluggish and low on power, relegating the Ranger to only basic transportation needs. Ride and handling are fair, but still pale in comparison to models placed higher on this list. On the other hand, the interior is fairly user-friendly and Ford’s options are vastly improved over previous year’s models. The price is right if you’re just looking for an all-around-town-doing-the-daily-chores kind of truck, but stay away if you need anything with some oomph to it.